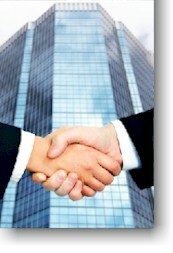 Mediation is cost efficient and saves parties and attorneys time and money. Most cases will settle in one mediation session. A jury trial requires an average of 3.5 days of actual trial time and an additional 10 days of preparation time (the national average is 3 days preparation for each day of a jury trial). Add to this post trial motions and appeals and the costs of a trial can easily add up to staggering amounts. At the end of one day of mediation, a case is settled. At the end of a successful day of mediation a case is over. The parties will have resolved their differences once and for all. The resolution of the case will be set out in a set of documents leaving nothing to be argued for the future. Since the parties agree to a solution, no one feels short changed or has the need to appeal. A mediation is actually profitable. Time is money as the old saying goes and a company or individual who is a party to a lawsuit spends an inordinate amount of time away from his office and his business. Every hour spent attending to the lawsuit is an hour spent away from business and home. For the businessperson, time spent in a courtroom is nonproductive time. For the company, the time an employee spends away from his or her usual duties in order to attend to a lawsuit is a loss of productive time. In one day of mediation a dispute is resolved and the next day everyone can go back to their usual and profitable jobs. A trial is state sponsored arbitration. The courts can only resolve cases by either stating that a party is or is not responsible for the happening of an event. In most cases, if the court finds that a party is responsible for the happening of an event it declares how much in dollars and cents the court values the damage caused by the event. The remedies available to parties in court are restricted to those the legislature and appellate courts have approved. Mediation encourages extrajudicial remedies. Mediation allows parties to settle their disputes with remedies that might not be available at the courthouse. It is not unusual for a business to find itself in a lawsuit with a longtime vendor or customer over an unpaid account receivable, a warranty problem or a dispute over terms and conditions of a sale. Once a lawsuit is instituted not only do the parties incur the expense of prosecuting and defending the lawsuit but an ongoing mutually beneficial business relationship often ends. More often than not by mediating a dispute not only can the lawsuit end but the preexisting business relationship can be restored. A party to a lawsuit who has a personal hand in bringing about a resolution of a dispute and a lawsuit will always feel vindicated at the end of a successful mediation. The court process does not offer the face to face meeting between parties and the free exchange of thoughts that a mediation offers. Parties who are allowed to work out their own resolutions to disputes always retain a deeper sense of satisfaction as to the outcome than if the lawsuit was decided by a judge or jury. Lawsuits are all about risk. Parties are confronted with the risk of winning and losing and the collateral effects of an adverse outcome. The perfect set of facts is rare and every jury trial ultimately depends upon a jury’s opinion of a party’s credibility. Every trial lawyer has successfully tried cases that should have been lost and has lost cases that should have been won. Many lawyers believe that a jury trial is won or lost when the jury is picked. At mediation, the risks of trial are thoroughly discussed and probable outcomes are examined. Through this continuing examination of risk the parties become willing and do reach a compromise of their positions. Trials are held in public. Mediations are held in private. Testimony in a trial is public. Conversations in a mediation are private. The outcome of a trial is public. The outcome of a mediation can be made private. In many business settings and in virtually all family and personal disputes privacy and confidentiality are necessary not only to protect the parties financial needs but their emotional ones as well. The cash flow problem of a business, a spouse’s reasons for divorce, or children’s special needs are just a few examples of things that are no one’s business but the parties directly affected. 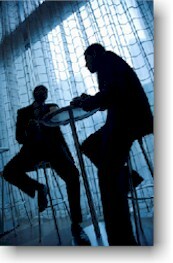 Mediation is held in private and is confidential. 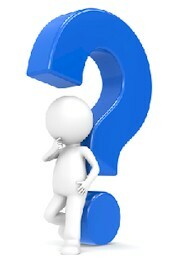 Disclosure of what happens at a mediation is controlled by the parties to the mediation. Unlike a court proceeding mediation records are not open to public review. Mediations are scheduled by the parties. Although a court may order mediation to take place by a certain date, the parties are free to schedule the actual mediation date and time to fit their own calendars. Clients may schedule appointments with me directly via my Online Calendar. At St. Louis Mediation & Arbitration Center a mediation is scheduled as early as a day, a week or a month in advance. Unlike a trial, the case can be mediated when everyone agrees to meet. In some cases, when an injunction is sought for example, a mediation can be scheduled on very short notice. A mediation can be scheduled in advance of the filing of a lawsuit or the day before a trial is scheduled to begin.